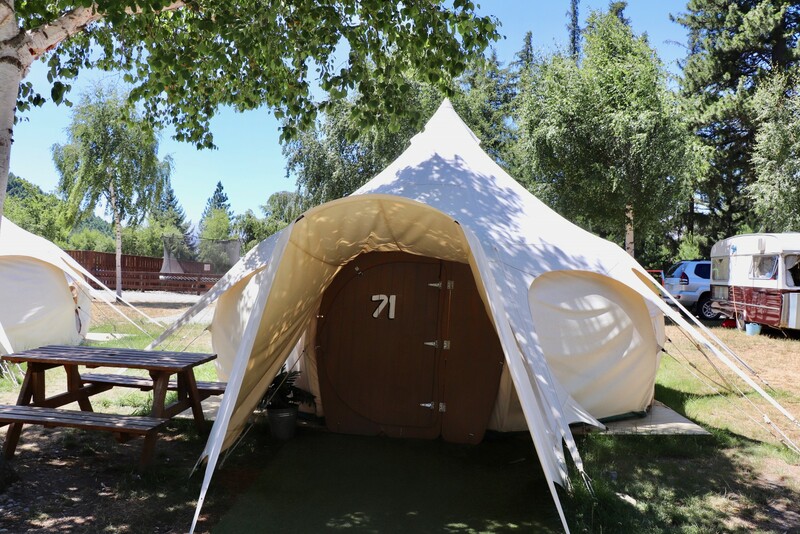 This spacious Lotus Belle tent has a queen bed and three single beds all made up made up with your sheets and blankets. You need to bring your own towels or you can hire them at $2.00 per towel from reception. 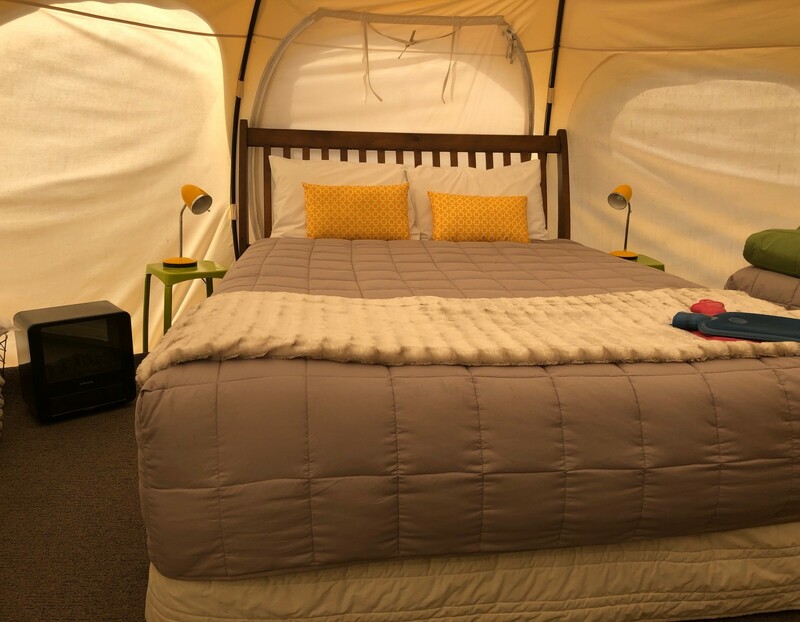 This Lotus Belle tent is hired for your use only and not shared with other people. 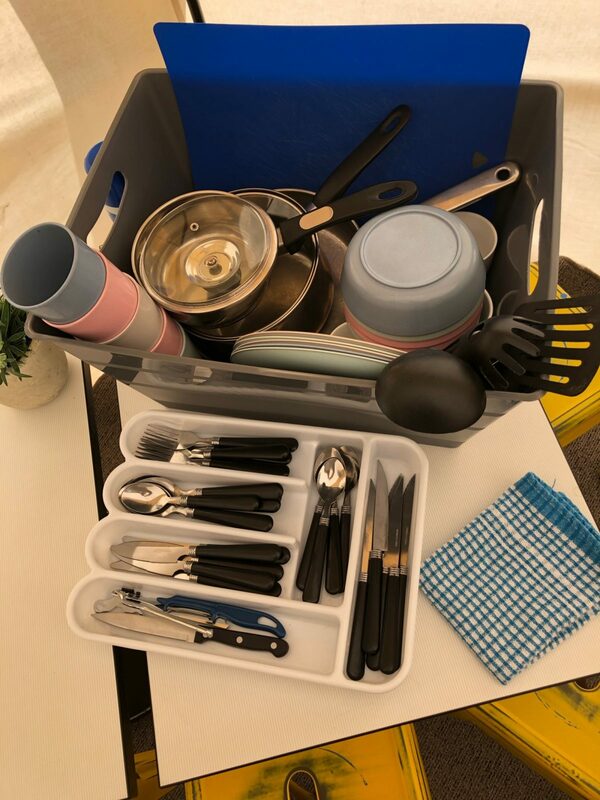 Basic cutlery, crockery, pots, fry pans and tea towel are provided. You use the camp kitchen, toilets and showers. Showers are operated by a $2.00 coin for 10 minutes. 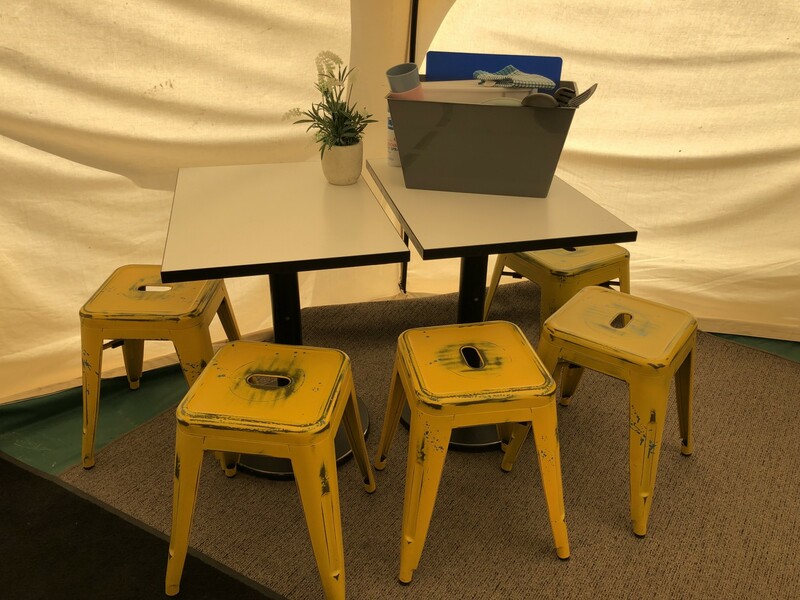 With seating of seating outside you can enjoy the alpine environment or chat to your fellow glampers. 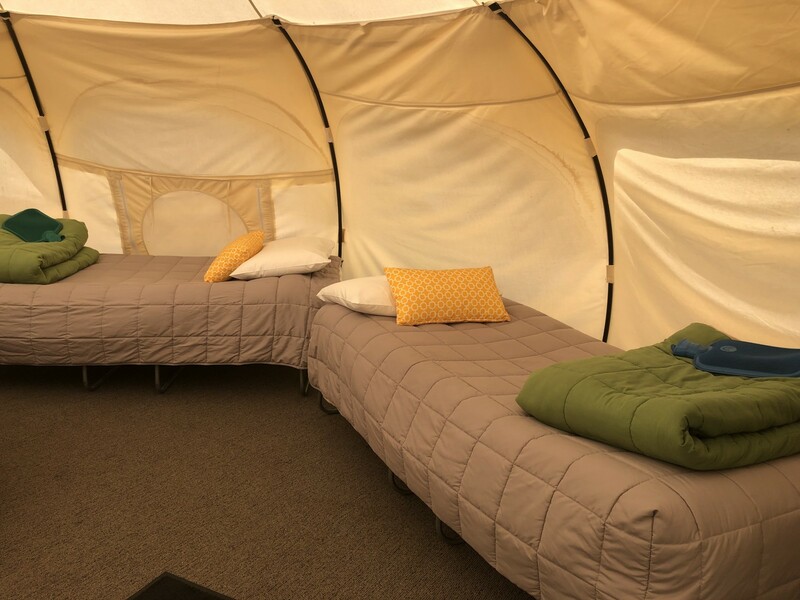 This tent has power for lighting and a there is a small heater in the tent. You are also able to charge your devices. Each guest is provided with 100mb of free Wi-Fi. 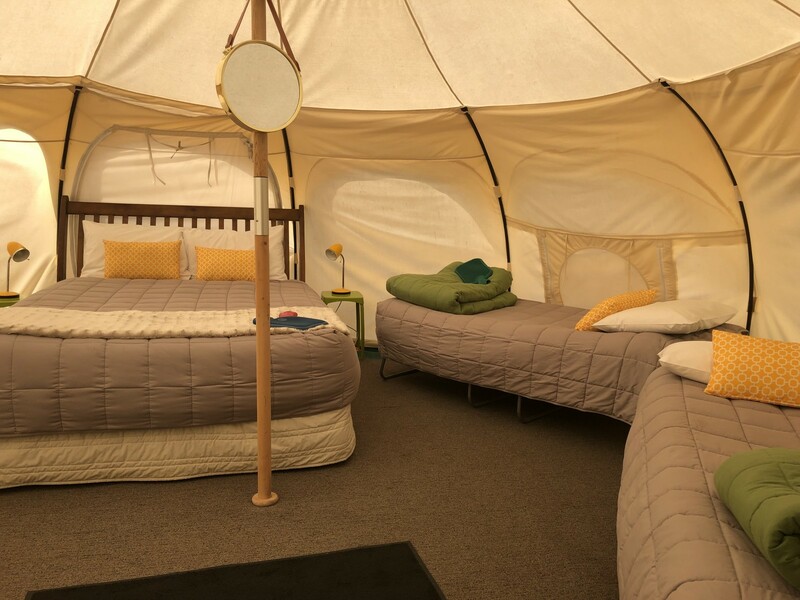 These tents have one queen bed and three single beds in one room. Maximum occupancy: five guests, this includes children.